Time to jump in and learn the 1 x 1 Double Crochet Ribbing square. This is the first block in the Crochet Stitch Sampler Baby Blanket CAL Sponsored by Red Heart Yarns and hosted by Marly Bird. 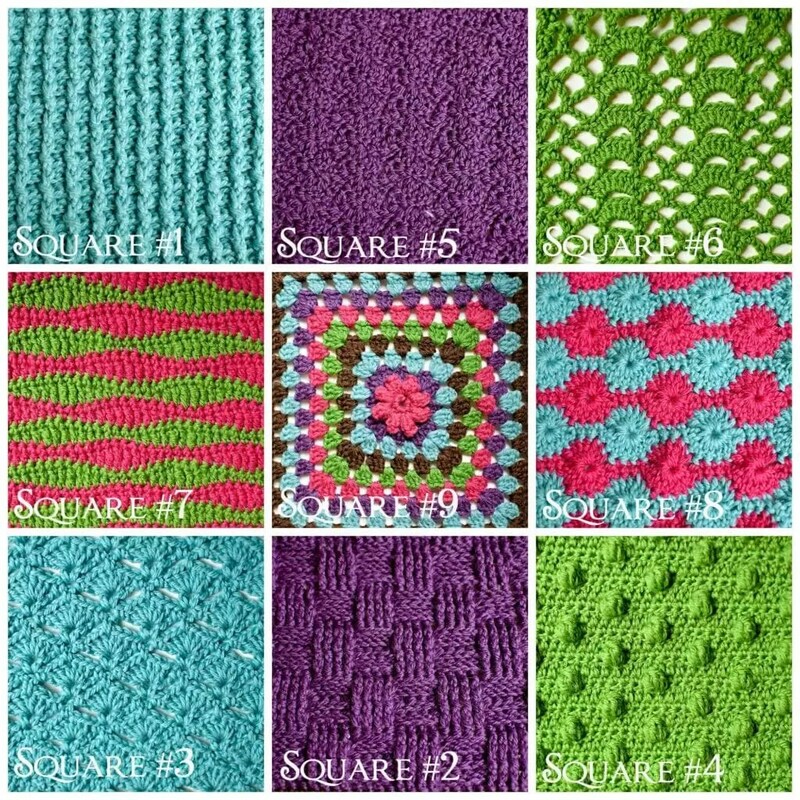 I chose the 1 x 1 Double Crochet Ribbing square as the first square because I think it is the perfect ‘whet your appetite’ square. It uses the basic double crochet stitch for the entire square but the texture is created by the placement of the double crochet. We will work these double crochets in the front post and the back post of the stitches. By doing post stitches the square will be more 3d with great texture and reversible stitches. If you wan to use this pattern stitch for another pattern you need to know how many chains are used for the foundation. For the 1 x 1 Double Crochet Ribbing–Foundation chain is a multiple of 2 sts. In class block: Ch 22, continue to row 1. Full size block: Ch 48, continue to row 1. Designer NOTE: This square tends to pull in a bit so I suggest using one of the larger size hooks so that the finished square will be the correct size you want. Row 1 (WS): Sk 3 ch (counts as 1 dc), dc in next ch and each ch to end. Row 2: Ch 2 (counts as 1 dc), sk 1st st, * fpdc around next st, bpdc around next st; rep from * to end, dc in tch. Rep row 2 only until the block is approx. square. Designer NOTE: After you complete row 2 you should be able to just read your crochet to know what stitch you are to work. Meaning, if the stitch you are working in to is a front post double crochet then you will do a front post double crochet…if the stitch you are working in to is a back post double crochet then you will do a back post double crochet. I talk about this on the HD Video. For this chart you will notice that the numbers on the sides count the rows. You can also use these numbers to let you know from which side you will begin reading that row of the chart. For example: Row 1 will be read from the left to the right. Designer NOTE: I find it easier to read a chart like this one (where the symbols NEARLY look identical) by shading in the symbols. If you use a colored pencil and shade in just the back post stitches or just the front post stitches you will be able to quickly see what the stitch is without having to strain to see if the symbol has the little bar pointing in towards the circle or out away from the circle. Something like the picture below.